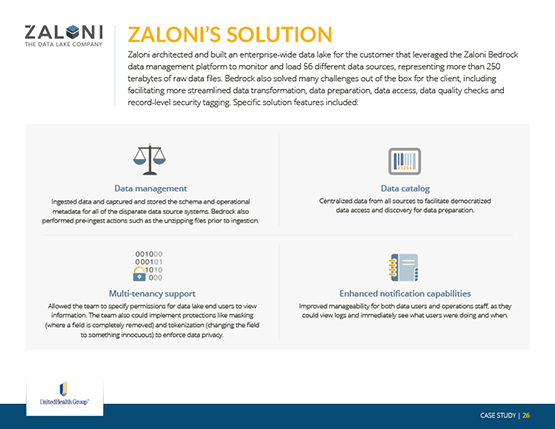 Zaloni wanted a new type of design for their case studies that would quantify the challenges that their clients face, highlighting their solutions and results in a fresh and unexpected way. We worked with them to create eBooks that feature quick, digestible customer stories with easily-understood graphical elements. 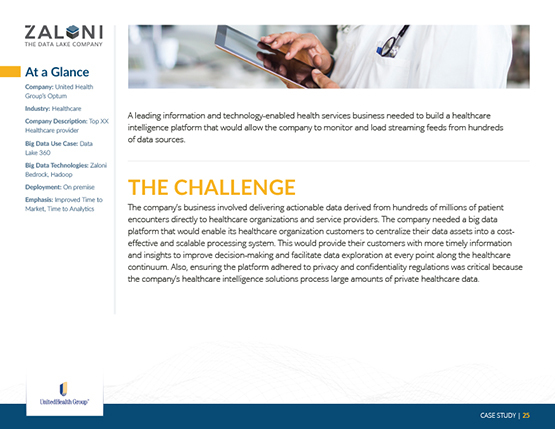 They highlight relevant company information with “at a glance” sidebars and frequent call-outs. 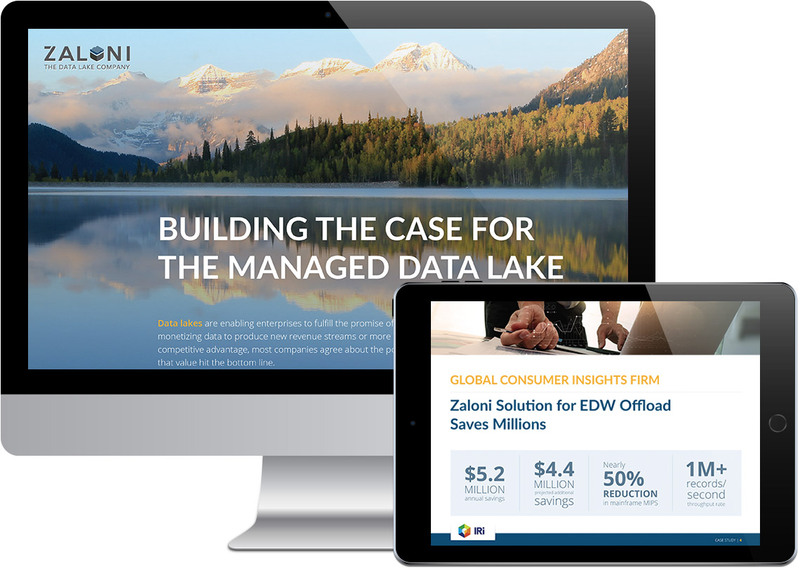 We created an impactful way to showcase the content by combining industry imagery, infographic style elements and a consistent look and feel, all within the Zaloni brand.